and keep it going with the right music! As a Corporate Event DJ, Craig has performed for business clients at The LA Convention Center, LA Sports Arena, Disneyland and practically every major hotel in southern California. His futuristic Touchscreen and amazing lighting have wowed Corporate Partygoers from all over the world including several thousand people at the latest AphA convention. 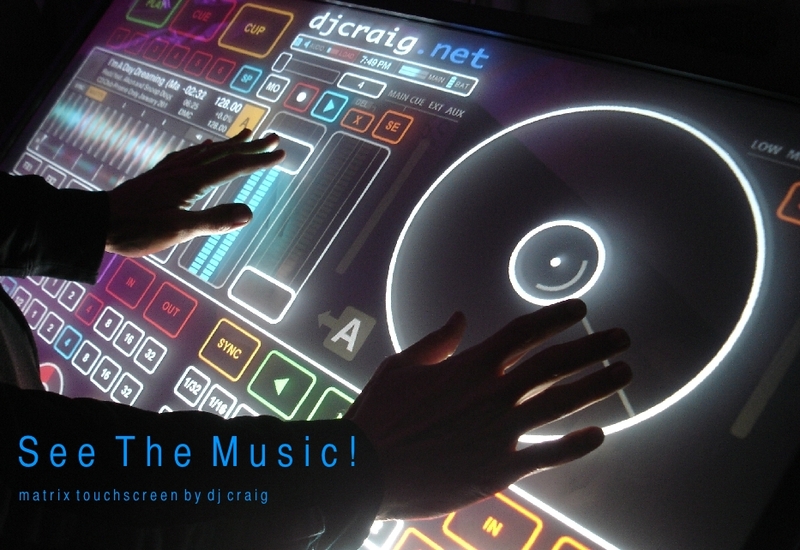 DJ Craig offers Corporate Party Entertainment that is both audio and visual. With the use of high end, digital sound, great music and specialized lighting, he helps create a party that your guests will be talking about long after it is over. Craig is the same Corporate Party DJ chosen by Toyota, Microsoft and Unisys to make their events unforgettable. Craig can play any style of music and compliment any theme. If you are planning a one of a kind event, get the right Corporate Event DJ. Sound and lighting for business parties, special events, team building, holiday parties, awards banquets and fund raisers. Your party theme can be complimented by your choice of background music. Our original Soundscapes are unlike anything your guests have heard at other events. They include Gatsby Roaring 20's, Black Tie Sophisticated Swing, 70's Disco/Retro Party, Oldies Sock Hop, Jamaica Me Crazy Island Beach, 80s Flashback Party Winter Holiday Favorites and more. If you can think of a theme we can create music for it. As your party representative, our introductions and announcements are clear, concise and articulate. Your guests will know exactly what is going on and when. When the dancing starts, you want music that pulls your guests to the dance floor. DJ Craig's "road-tested" Corporate Party DJ Hitlist does just that. The Hitlist works because it's based on hundreds of parties and years of dance floor response. Every category and style is available on our easy to fill out list. And since these selections have proven to "work" time after time so your corporate event may turn out to be the best ever! Of course, guest requests are also cheerfully indulged. The Hitlist is available exclusively to our corporate party entertainment clients. Get your own copy and pick the categories and songs YOU like. Craig's club dance floor lighting is what you would expect to see at a rock concert or trendy downtown nightclub. We also offer uplights, gobs, pinspots and other special effect lighting. Our Pro effects will light up the room for your partygoers as they dance the night away. They are unobtrusive, compact and can be used in any space without an overhead truss. After all, your party should look as good as it sounds. DJ Craig.Net is Corporate Party Entertainment For Fun People in Los Angeles and Orange County!